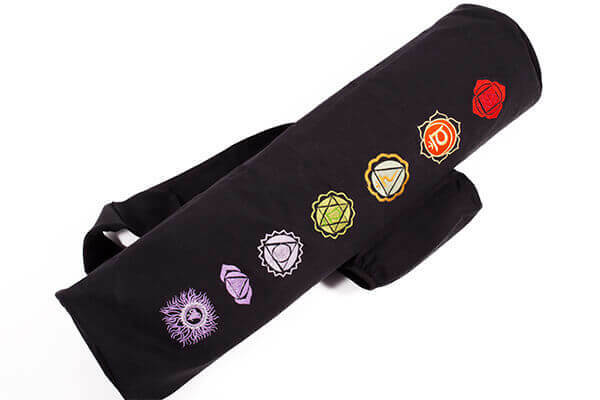 Chakra Yoga Mat Bag by Yogamasti. 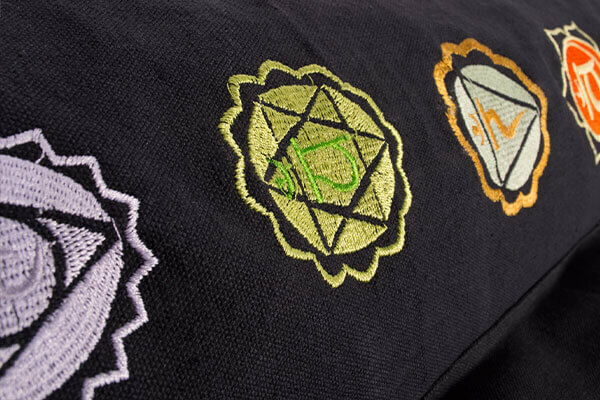 High quality Yoga Mat Bag with eye catching Chakra embroidery. 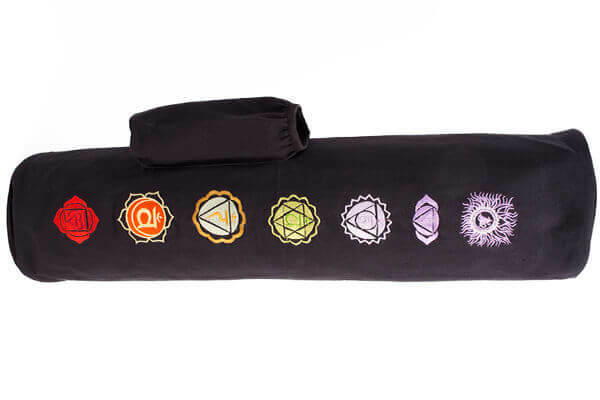 This Yogamasti Chakra Yoga Mat bag comes with a waterproof lining, water bottle pocket, mobile phone pocket, inside towel pocket and more. 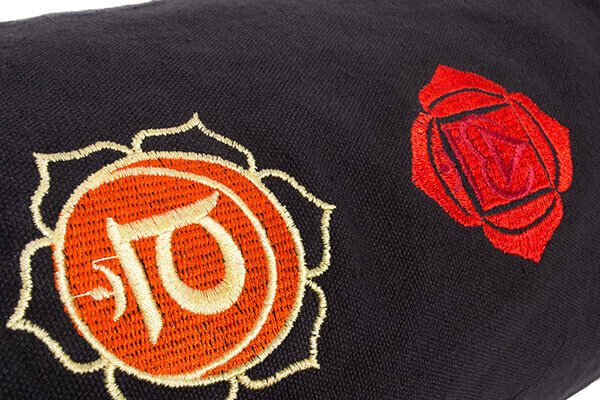 This bag is made of thick 100% cotton canvas and has lovely embroidered chakras. Vibrantly coloured. 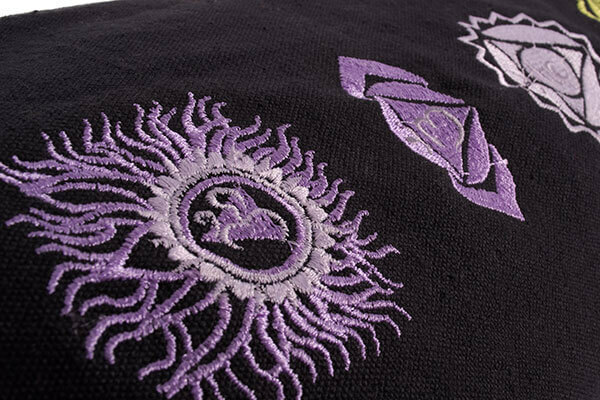 Single zip opening. The wide shoulder strap has an antique finish key loop and a mobile phone pocket and enables you to carry the bag over your shoulder or across the body. There is also a short handle so that the bag can be hand carried.